Overseas Network | Company Data | FUJICOPIAN CO., LTD. 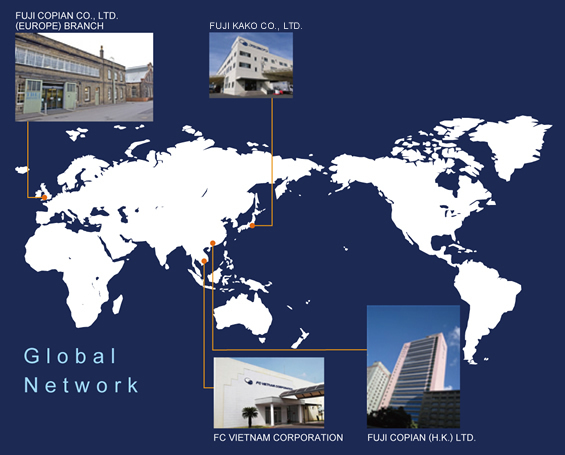 When Japan's IT equipment manufacturers started moving production overseas, Fujicopian followed suit.We have founded companies in various parts of the world and built a network of cooperative companies. Today, products made with Fujicopian technology are being produced and sold overseas.